BD Veo U-100 Syringes 31g 3/10cc 6mm Case of 5 Boxes. For 30 units or less. 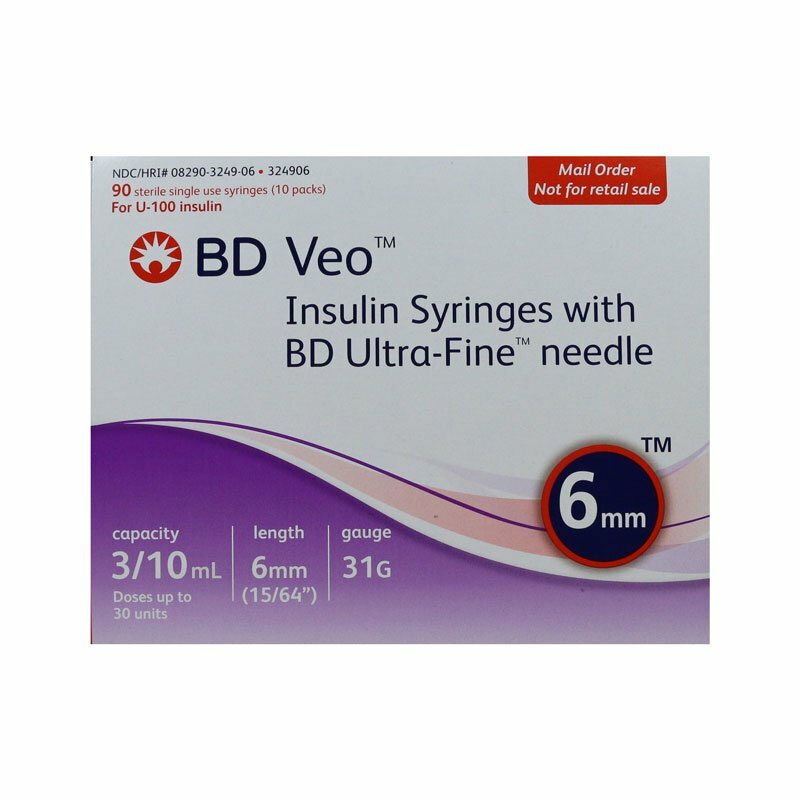 These BD Veo Insulin Syringes 31G with Ultra-Fine Needle (5 boxes of 90 syringes) are the shortest and most innovative insulin syringe needle ever designed. A smoother, more comfortable needle: Detailed tip-shaping, polishing, and double-lubricating create more glide and less friction for easier penetration. Wide flange: Feels more secure in your hand for greater control. Extended barrel: Facilitates one-handed technique by anchoring and balancing the syringe. Easy-to-read scale markings: Bold, aligned numbers make it easier to read and draw up an accurate dose.